University President Drew G. Faust called for the College’s General Education program to remain a symbol of liberal arts education at the meeting of the Faculty of Arts and Sciences on Tuesday afternoon. During her remarks, Faust publicly added her own thoughts about reforming the beleaguered program as the Faculty discusses reforms ahead of a major vote, expected at the end of this semester, emphasizing the importance of the review process in the larger context of higher education nationwide. 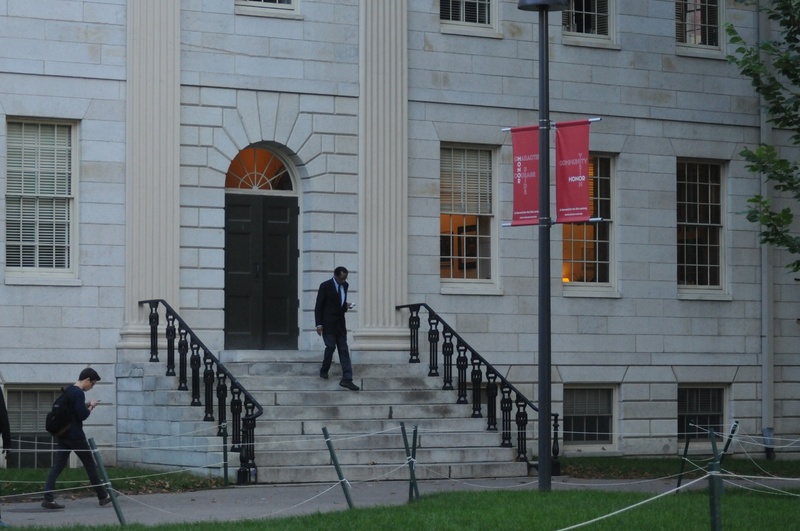 Harvard faculty exit University Hall after the first Faculty meeting of the academic year. Since that draft was presented at the last Faculty meeting in May, the review committee met over the summer and in September, speaking with department chairs, the Gen Ed committee, and other faculty members, according to Philosophy professor Sean D. Kelly, the committee’s chair. He has said the committee intends to finalize a proposal by the end of the semester for a faculty vote. Open only to faculty members, town hall meetings will take place the next three Tuesdays to continue discussions on Gen Ed. At the Faculty meeting on Tuesday, Kelly said next week’s town hall will focus on the philosophical principles of the program. The committee’s draft report offered faculty members three different possible options from which to choose: a simple distribution requirement, offering a mix of Gen Ed courses and distribution requirements, or clarifying existing principles and reforming the program within that context. Faculty members have said they are overall committed to reforming Gen Ed within the existing principles of engaging with broader questions and understanding the intellectual pursuit more broadly, rather than replacing the program altogether. —Staff writer Karl M. Aspelund can be reached at karl.aspelund@thecrimson.com. Follow him on Twitter @kma_crimson.